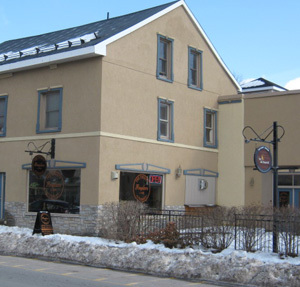 Located at 124 Main Street in Picton, in the heart of beautiful Prince Edward County, an hour west of Kingston, we are a full service specialty hearth shop, providing a full range of products and services, including sales, installation and service of over 12 major brands of wood, gas, pellet, multi-fuel, and electric stoves and fireplaces. Our installations, service, inspections and chimney sweeps are done by experienced, licensed, WETT and TSSA certified professionals. We also do installations and services in new home construction and renovations for several of the areas largest and best building contractors. We offer free site inspections in the area, and are interested in providing information and advice to help choose the best product for the application, to provide years of enjoyable warmth and comfort in your home. Our friendly staff are here to listen and help with your heating needs. We are non sales-commission individuals who do not believe in pushy hard-sell techniques. We are only satisifed when the customer is satisfied. So if you are looking to have a stove or fireplace installed, want to purchase and install a wood, electric, or pellet appliance yourself and have it inspected and certified afterwards, or even if you are just wanting to see the latest products available, please come see us at The County Fireplace Company.